Mahindra's New XUV500 Plush: Why Should You Buy It? Mahindra has launched the new Mahindra XUV500 Plush in Nepal at a starting price of Rs 61.80 lakh. 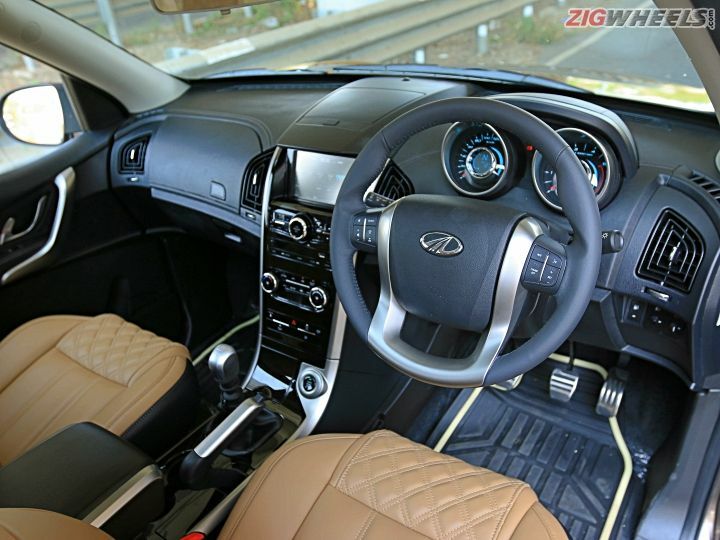 Calling it the ‘plush’ new XUV500, Mahindra is marketing the new SUV as a more comfortable and luxurious offering than its the best SUVs right now! The updated theme for the XUV500 has been carried over onto the inside too. The dimensions, space, feature list and storage options have all been carried over unchanged from the outgoing model, which is not a bad thing at all as the XUV was quite well known for all of these. What’s new, however, is the way Mahindra has updated the individual elements of the cabin. In this new top-of-the-line W11 variant, parts of the dashboard and all the armrests have been covered in faux leather while the center console gets a piano black finish for that added glossy effect. The highlight of this update is, of course, the tan leather quilted upholstery. It looks premium, and since all the seats of the XUV are already quite large, it becomes quite inviting for you to want to step into the cabin. What’s not changed though are the quality of plastics on many of the places in the cabin. They feel hardwearing with rough surfaces indicative of something that would be offered on cars in a lower price range. Given how quality in the segment has jumped significantly even since the launch of the facelift in 2015, it’s time Mahindra raises their game in this regard. The first thing that catches your eye is the large chrome grille. The cheetah inspired slashes on the outgoing model have given way to a more contemporary bling-heavy six-slat unit. The grille also gets chrome surrounds that complement chrome inserts in the fog lamp housing. It may seem a bit excessive, but the large swathes of chrome do well to raise the premium factor of the car. In fact, they add even more presence to an already large face. In profile, the XUV500 remains unchanged but on this top-of-the-line W11 variant that we drove, you get new 18-inch diamond cut alloy wheels, two-tone roof rails and a black cladding that runs around the car. The rear has a got a significant boost in terms of appearance and the biggest change here is related to the tail lamps. The units are wrap around and despite being larger than the light package on the outgoing model, it does look compact and fits snugly into the design package. The tailgate has changed too and gets a muscular ridge above the number plate holder. Why Should You Choose The Plush? The XUV500 has always been big on presence, features and the new additions bring it on par with what is expected in the segment. The bump in output is a welcome addition and in the real world, it’s expected to improve the experience of going wherever you need to go without too much of a fuss. 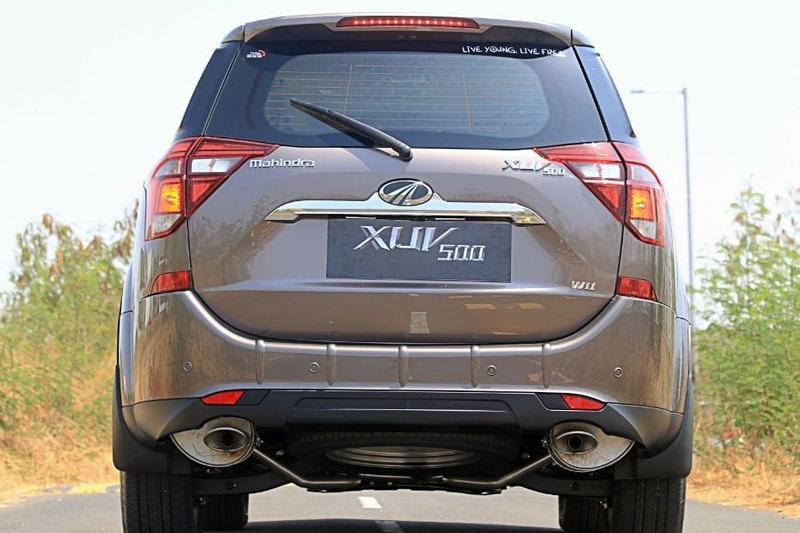 The new XUV500 plush will fulfill all the needs that you will ever want from an SUV. So this is not just you throwing money at good looks, this will be a great investment for your future travels and day-to-day comings and goings. 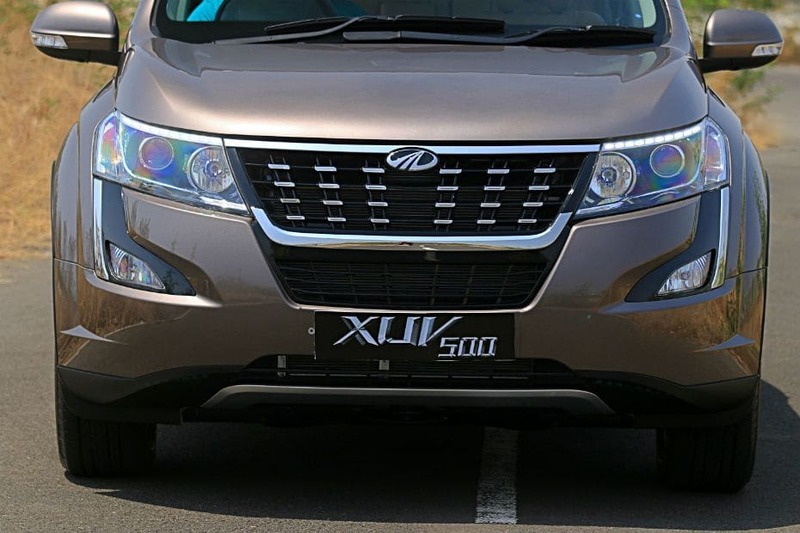 However, the XUV500 as an overall package is starting to show its age especially when you look at it against the newer crop of cars in the segment like the Hexa, Compass, and Tucson. The car is in need of a generation change and this would really help boost its numbers.